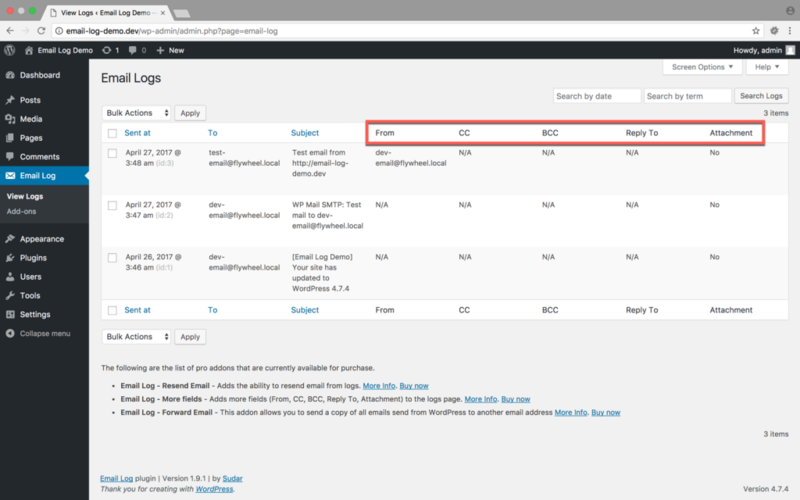 More Fields add-on lets you to view additional fields – Cc, Bcc, Reply-To & Attachment in the View Logs page for ease of use. 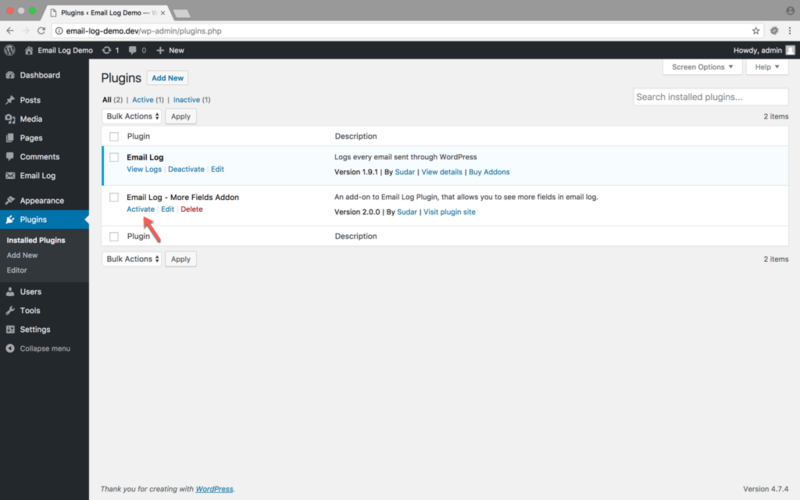 Once you activate the license and install the add-on from the Email Log Add-on’s (WordPress Dashboard → Email Log → Addons) page, you can then activate the add-on from the Plugin’s (WordPress Dashboard → Plugins) page. How More Fields Add-on Works? Once you activate the More Fields add-on, you will be able to see the additional fields on the View Logs (WordPress Dashboard → Email Log → View Logs) page.